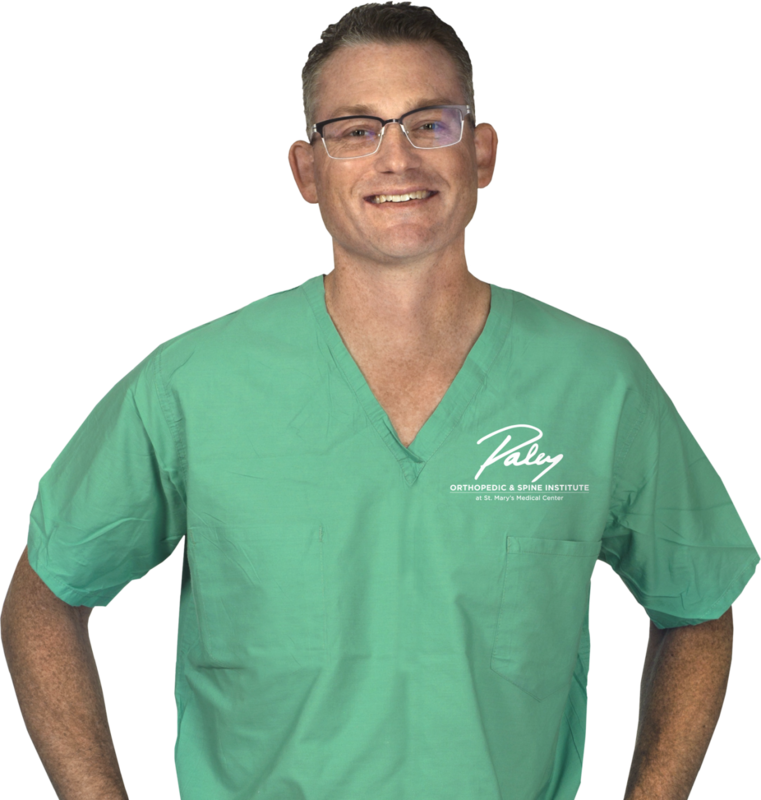 Dr. Bradley Lamm joined the Paley Orthopedic & Spine Institute in 2016 to lead our Foot & Ankle Deformity Correction Center. Dr. Lamm is a board-certified podiatric foot and ankle surgeon. He previously served as the head of Foot & Ankle Surgery at the International Center for Limb Lengthening (ICLL) at the Rubin Institute for Advanced Orthopedics at Sinai Hospital in Baltimore. Dr. Lamm specializes in the treatment of foot, ankle, and lower leg conditions in both children and adults. Dr. Lamm is an expert in treating diabetic foot deformities, ankle disorders, sports or athletic injuries, arthritis, flatfoot, bunions, hammertoes, and various other foot and ankle ailments. He has extensive experience in joint distraction, a new technique which uses external fixation to preserve ankle and toe joints and prevents the need for fusion or replacement. Dr. Lamm performs minimally invasive surgery techniques to correct diabetic Charcot foot and to lengthen the metatarsals and toes for patients with Brachymetatarsia. Dr. Lamm is known globally for his expertise in treating foot and ankle deformities. Throughout his career, Dr. Lamm has been awarded numerous grants, published medical research in national and international journals on foot and ankle research (he has over 75 book chapters and peer review research articles), and has participated as an invited lecturer at dozens of medical conferences, meetings, and symposia. Dr. Lamm is the editor of the Research Section of the Journal of Foot & Ankle Surgery and a peer reviewer for various medical journals. Dr. Lamm was voted "Top Doctor" in Baltimore Magazine numerous times and appeared on the television show The Doctors to discuss foot and toe lengthening. Dr. Lamm serves as a medical advisor on the Board of Directors for the Board of Certification/Accreditation, International. He is a Rotation Director and Professor at Harvard Medical School and trains physician residents from many surgical programs across the United States. In his free time, Dr. Lamm enjoys biking, fly-fishing, sailing, horseback riding, soccer, lacrosse, and dancing! See the dramatic before and after photos of Dr. Lamm's cases. Throughout Dr. Lamm's career, he has been dedicated to research through publications, lectures, and tutorials. For more information, see Dr.Lamm's Medical Publications on "PubMed"
Dr. Lamm offers a one-year ACFAS approved Foot and Ankle Deformity Fellowship.